Let’s assume your business has plenty of cash on hand to acquire a new LPG storage tank. When you make a purchase, you’re paying with post-tax dollars. That $100,000 item may cost you as much as $130,000 or $150,000 (depending on your specific tax situation). Why? Because your business needs that greater pre-tax income to net the $100,000 needed to make the purchase. When you lease, though, you’re doing so with pre-tax dollars. That $100,000 purchase costs your business $100,000 and your lease payments can be written off as a business expense. Leasing won’t give you depreciation deductions as a purchase would, but leasing may get you Section 179 tax advantages. Section 179 of the Internal Revenue Code allows you to fully deduct the cost of some newly purchased assets in the first year—but your company can also lease and still take full advantage of the Section 179 deduction. Let’s assume you lease a new 18,000 Gallon Skid Package. We’ll say that the price of the skid package is $117,000 and freight is $5000 for a grand total of $122,000. Let’s also assume a 60-month term, one payment down is required, and a $1 buy-out at the end of the term. In this example, the approximate down payment is $2390, then 59 additional payments of around $2390 would be required. After that, you could exercise your $1 buy-out option and the skid package is all yours! Similarly, if you leased a new 30,000 Gallon Skid Package with a total investment including freight of $152,000, your payment could be around $2950 per month. Finance company requirements can vary, but I know of at least one company that; a) has a one-page application, b) doesn’t require tax returns or financial statements, and c) can provide a credit decision in 1-2 hours. You will have to show that you have been in business 2+ years and have a credit score of 675+. This same company will fund the project within 24 hours of credit approval. 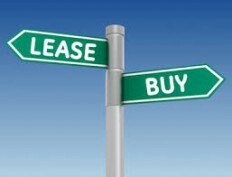 Still not sure if a lease is in your best interests? Do your research then speak with a tax professional to understand all the financial implications before you make your decision.